Video marketing has always seemed like the go-to tool of the business-to-consumer (B2C) realm. Despite the growth in online video, business-to-business (B2B) companies haven’t always been quick to adopt this marketing approach. Video marketing is powerful, and it’s for you. B2B email open rates tend to hover around 30%, but businesses can boost this metric by simply including the word "video" in the subject line. Average landing page conversion rates can range from between 2-11%. Adding video content to your landing pages increases conversions by 80%. Executives at businesses you are trying to reach are 50% more likely to request more information after seeing a video about your products or service. 65% will go to your website and 39% will give you a call. 96% of businesses are already using video to reach other businesses and 73% report a positive return on that investment. Revenue for businesses that use video increases by 49% when compared to businesses that don’t. How-to searches on YouTube, the largest source for internet videos, increases each year by 70%. Don’t you want customers to open your emails? How about conversions? Do warm leads, better ROIs, increased revenue, and increased search traffic sound good? Yes, yes, and yes. These goals aren’t just for B2C companies. They’re for you, too. As you can see from that data, individuals and businesses alike are turning to video in droves. Video content is easily consumed by your readers and followers and they tend to prefer it above all other content. Think of video marketing as information via entertainment. It's what people want, and for B2B businesses, there are specific benefits video marketing can bring. Few marketing approaches are more powerful than testimonials. A video testimonial is much stronger and more fleshed out than a two-line snippet on your site. It shows a real business successfully doing real things with the product. It’s powerful proof. 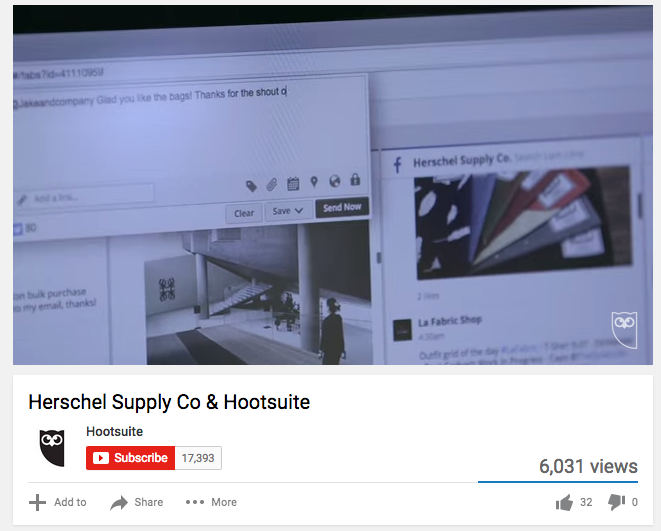 Check out this example, where Hootsuite created a video testimonial featuring a real customer. It’s easy to get lost watching videos and not realize how much time has gone by. More than any other type of content, videos grab your attention and keep it. To take advantage of this, VeriSign got a little creative. By making funny videos dealing with subjects their B2B clients could identify with, they successfully got the attention they were looking for. To hold that attention, VeriSign created an entire series of marketing videos that garnered millions of views. Taulia, which helps businesses with automated payments, created a humorous video to help their potential clients understand why delayed payments to suppliers is a problem that needs resolving. If they could make their point clear, they could paint a real need for businesses to use their service. Video can take the usual sales method and turn it into a visual story. If you can sum up your key sales points in a short video, people will understand and remember it better than they would from reading a blog post or ebook. 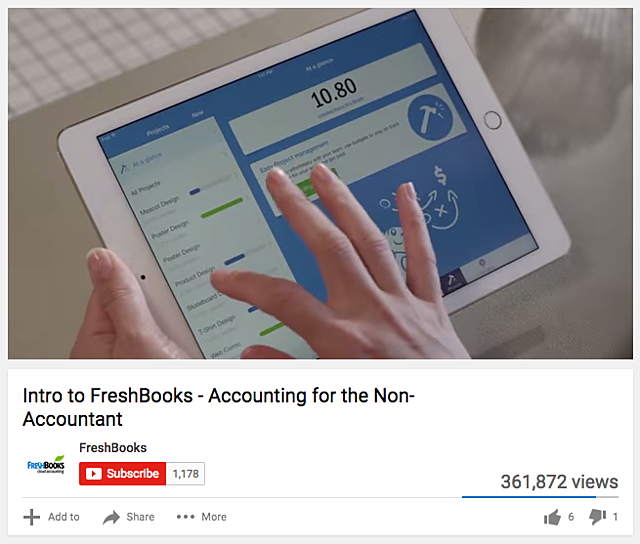 Freshbooks used video to give an overview of how their app worked, but they had a specific goal in mind. The marketing video highlighted the ways that small business owners, who weren’t necessarily accounting experts, could use Freshbooks to run their businesses more effectively. They introduced themselves and their product. They targeted the message to a particular segment of the market. Canva, which makes it easy for businesses to create graphics for just about any purpose, created a collection of training videos for their clients. That level of customer support--not just help getting started, but instruction at how to be good at using their product--is a strong selling point. Cisco has made more than 3000 videos, which is more than most B2B companies can handle. Still, you can benefit from their experience. They’ve learned a few things about what works and what doesn’t. Have a YouTube account. Your videos should be easily accessible on YouTube, even if you intend to integrate them into your website. 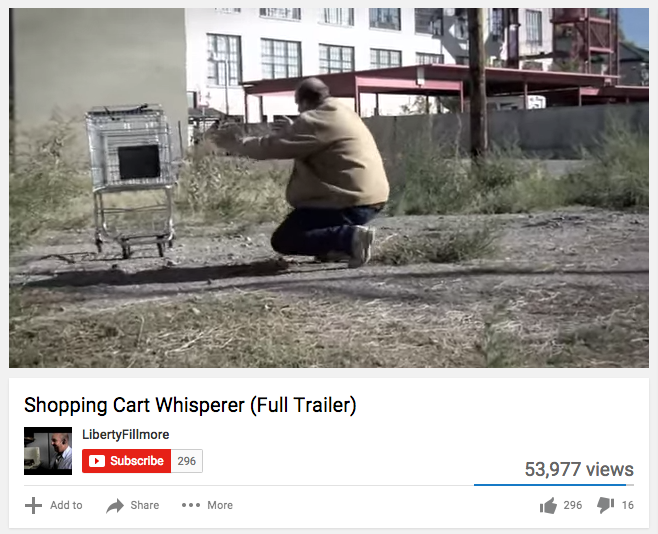 YouTube has features (close captioning, embedded hyperlinks, etc.) that you can use to increase the value of the videos you post there. This means that even if a potential customer finds your video on YouTube, there’s a good chance that they’ll be driven to your website from there. Shorter videos are best. Typically, 60-90 second B2B videos perform the best on YouTube, but videos posted directly on your site can be up to three minutes long. Consider all types of videos. The videos you can create include how-tos, brand differentiation, target-specific market segments, insider’s looks, meet the team, testimonials, event-based, product overviews, case studies, public relations, or historical insights. There are endless possibilities. Get creative! Find what works best for your business and your audience. Video context matters more than cost. Cisco found that high production costs for videos didn’t always mean greater success. For example, if the business you’re trying to reach is technical in nature, a low-cost video might work just fine. Slick production values are not needed for all videos, especially if they aren’t advertisements. Stir up your old video pot. An evergreen video, especially, should be regularly posted and promoted. If you’ve created a relevant video, don’t let it fade into obscurity. Forget going viral. Don’t create videos in the hopes of going viral. Instead, the goal should always be to create videos that are actually useful for your B2B customers. Trying to go viral tends to lead to shallow and less informative content. Theoretically, if the content is good and valuable to your market, the views will come. Pair videos with already high-performing content. Have a page on your site, or maybe even a whitepaper, that your B2B clients are flocking to? Be sure you get a video on there to boost performance. Cisco learned something uniquely different about video for B2B as opposed to B2C - the production costs are not the same. 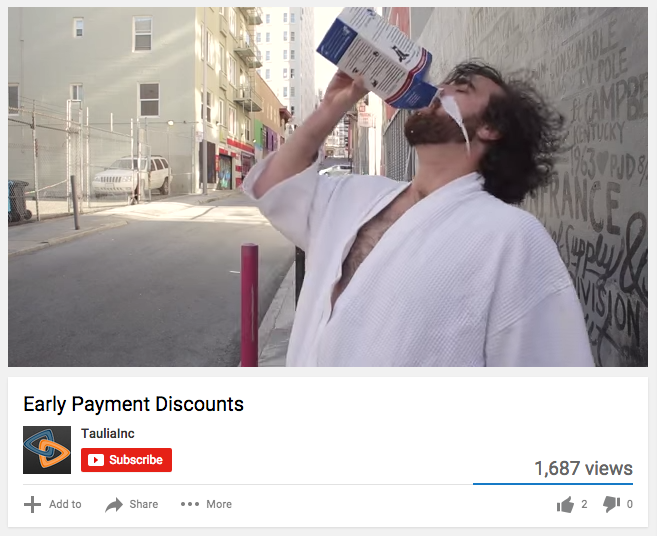 For B2C, costs tend to be higher since those videos are more like advertisements. If the context is right, B2B videos (while they shouldn’t be shabby) likely don’t need the slick production of a B2C video. They can sometimes be as simple as recording someone using the product to show how it works. YouTube searches now rival actual Google searches, in terms of volume. Companies using video get 41% more web traffic than those that don’t. When done right, video can increase organic search traffic by 157%. 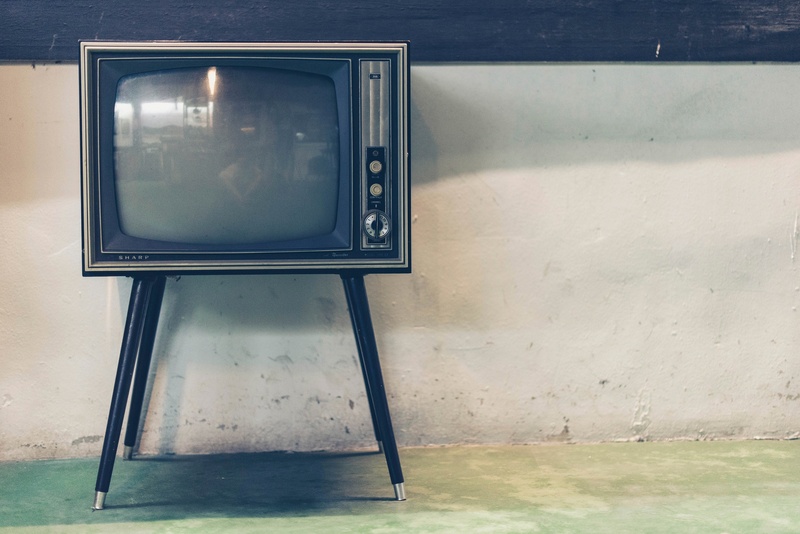 And, according to Insivia, more video content is uploaded to the internet every 30 days than the three major U.S. television networks have created in 30 years. All of that basically says that people are searching directly for video, now. Publishing video on YouTube, your website, or wherever can be an amazing traffic magnet for your business - if you know how to use video SEO to your advantage. You want keywords that generate video returns on the first page of search results. Google most often favors tutorials, reviews, sports, or funny videos for these slots. Do a search in your own industry, and see what turns up. Then, do traditional keyword research, like you would for written content, to see if there’s value to the keywords. Google ranks and rewards a video by how people engage with it. That includes how much of the video they’ve watched, if they leave comments, if they subscribe to your channel after watching, if they share it, and how they rate it. If you want your video to be found, promote it, add it to your other content, and do what you can to drive engagement. Lastly, put your keyword research to use. Videos do better when keywords are close to the beginning of the title, but don’t forget to include keywords in the video file upload, too. Another good place for them is in the description of your video, which can be as long as you need it to be. Think about other companies you admire and see if they've implemented a video marketing campaign. Do you think there's a way you can integrate video into your own B2B marketing strategy?